Ambassador Shotaro Oshima is Chairman at the Toyota Institute for International Economic Studies in Japan and a Visiting Professor at the Graduate School of Public Policy of the University of Tokyo. The Toyota Institute for International Economic Studies is a research institute founded in 1983 on the initiative of the Toyota Motor Corporation to conduct research on international economic development and to promote international exchange activities. 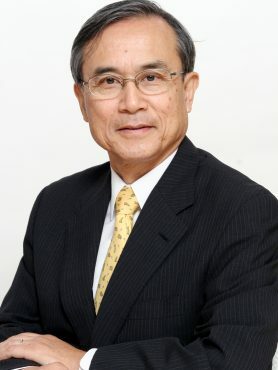 A career diplomat, Shotaro Oshima has served in the Japanese Foreign Service over the course of 40 years from 1968 to 2008. He held several positions at the World Trade Organization including as member of the Appellate Body (2008-2012), Japan’s Permanent Representative (2002-2005), Chairman of the General Council (2004-2005) and Chairman of the Dispute Settlement Body (2003-2004). He also served as Ambassador to the Republic of Korea (2005-2007) and to the Kingdom of Saudi Arabia (2000-2001). Shotaro Oshima holds a degree in law from the University of Tokyo.